We have done quite a bit of investigation work at private homes lately, and the requests are really keeping us busy! Keep the invitations coming and we will use all our resources to discover what may be the causes of your unusual activity. STORM members believe in constantly improving and updating our skills and knowledge. We are doing some in -house trainings in March and going over our group management and investigation procedures so that we can get academically valid evidence of the paranormal. Procedures and boundaries are very important to helping us gather the most viable documentations we can. STORM will also be training some of our "FOG" members (friends of group) in evidence review procedures. We would very much like to have help from individuals who have been trained in the valid collection of documentation materials. If you are interested in learning more, please email us for current dates. We will have a FOG training in March 08 and another in May of 08. We also hope to work in 2008 more closely with local historic societies to help them bring attention to some of the more interesting sites we have in our area. 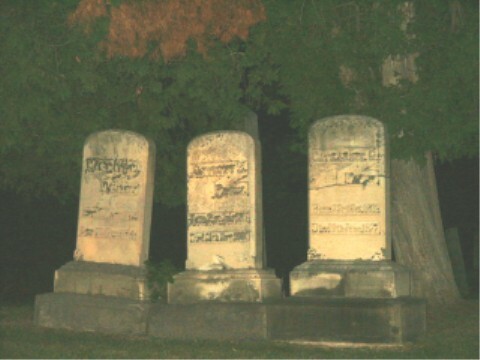 Many of our local Michigan historic sites have stories of ghosts and supernatural activities attached to them. STORM is just the group to help discover how much activity may be "paranormal" and what other causes may be in play. from 5:00-7:00pm at Oakland University. New events are being planned! There are many public events and seminars in the works for spring and summer, please contact us if you would like us to speak or present at an event or gathering. We also have a new merchandising website on Café Press; please see the attached invitation for more information on available gift items and “Paranormal” themed products. If you know of a home or business that you would like investigated, or if you have a historic location you would like investigated or documented for preservation in some way, please let us know and we will get the gear and the permissions and go! We are going to have a brief training for future STORM participants on Saturday March 15th and hope to see you all there. We look forward to seeing you again, or meeting you in person and getting to know you better. Please join us as we train our friends and supporters in all aspects of reviewing investigation documentations. We will use all of our tools and technology, as well as our senses, and practice “debunking” and recreating possible paranormal phenomena. We will compare known to unknown and seek out logical explanations for unusual measurements and activities. We will use our research skills to discover clues about people, locations and events in order to learn more about reported activities and possible paranormal phenomena. We ask that all participants donate 10 hours (or two investigation, technology, or event assistances) to the group. We are currently in most need of web design assistance, audio & video review, and video production help. More Events to come, keep checking back!